I write this from the cozy inside of our Big Agnes tent at Camp Poincenot under the towering Mt. Fitzroy. 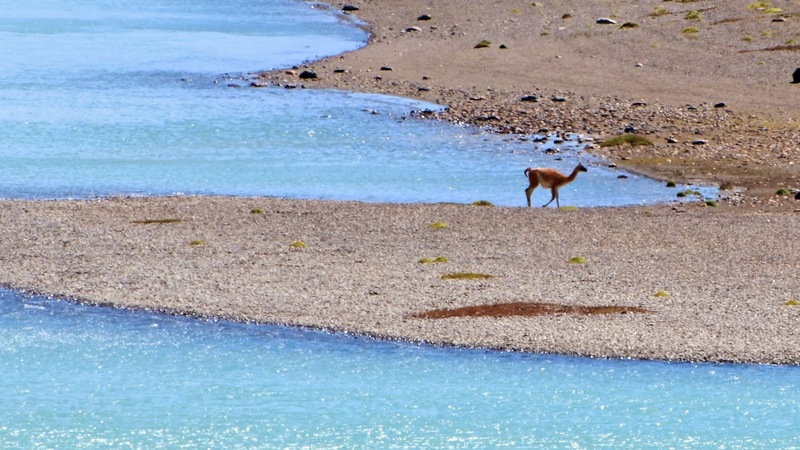 It seems a long ways from where we started the morning in Calafate at the Hostel de Grillos. Hanna prepared a nice breakfast for us there of homemade bread, yogurt and chocolate cake before we packed up and checked out at 10am. We stopped in town for gas and some snacks, stove gas, and wine to pack in for our hike then headed out of town. 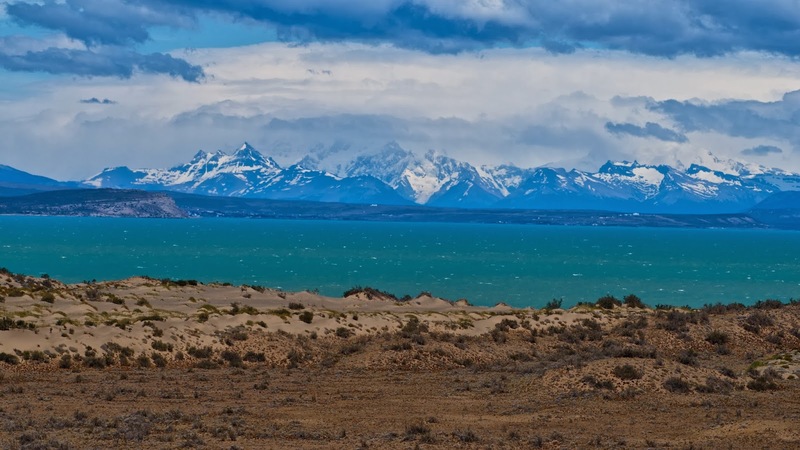 The drive from Calafate to Chalten was beautiful with views towards the Patagonian peaks over tourquoise lakes the entire way. 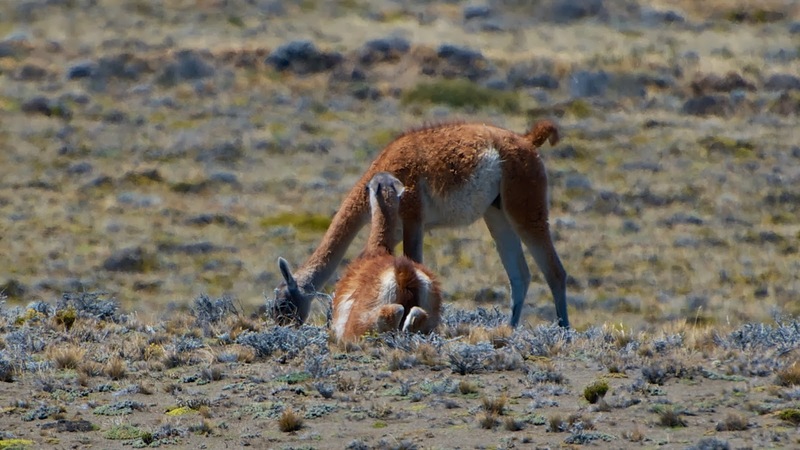 We saw many guanacos and a few hawks along the way. We also saw several carcasses of gaunacos draped over the fences that keep the sheep in... apparently they didn't make the jump and hung themselves. 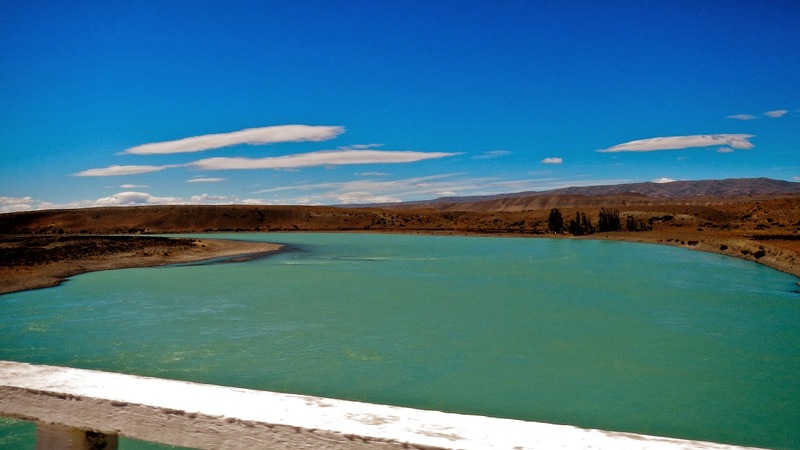 The road followed several rivers at times and was definitely more interesting then the long drive from Puerto Natales to Calafate the day before. The drive took us close to three hours because we stopped on many occasions to snap photos. 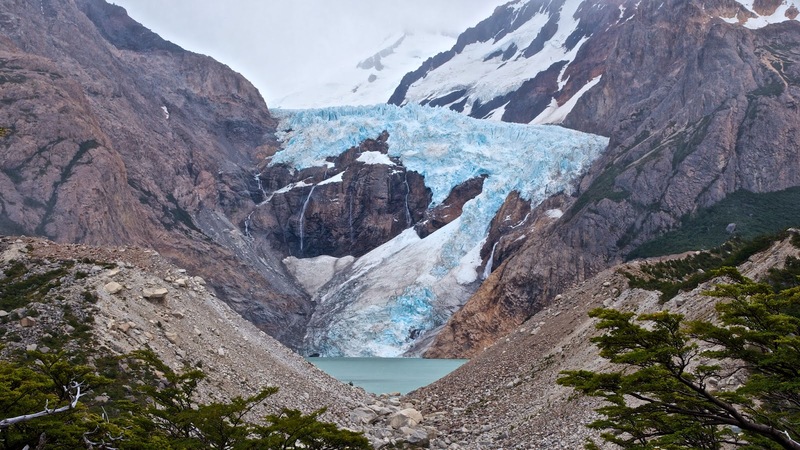 When we got to Chalten we stopped into the Glaciers National Park Headquarters to check on the weather and get some last minute advice on our plans from the rangers. They suggested we do the loop we had planned in the opposite direction so we wouldn't be hiking against the wind the entire time. This turned out to be a great idea as the strong Patagonian winds definitely were blowing in one main direction the entire day. 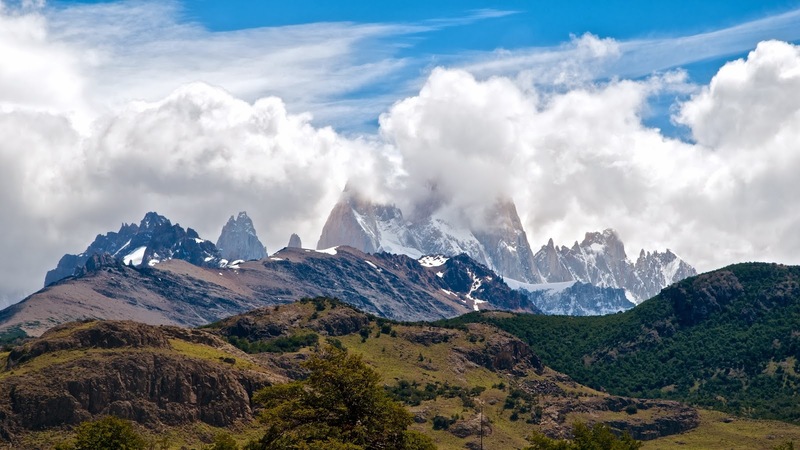 As we left the park building the clouds that had been covering Fitz Roy all day were starting to disperse allowing us small glimpses of the mighty peak. We drove to the end of town and parked the car at the trailhead to get our gear ready. The wind was so strong we had to be careful not to put something down nearby that would blow away. 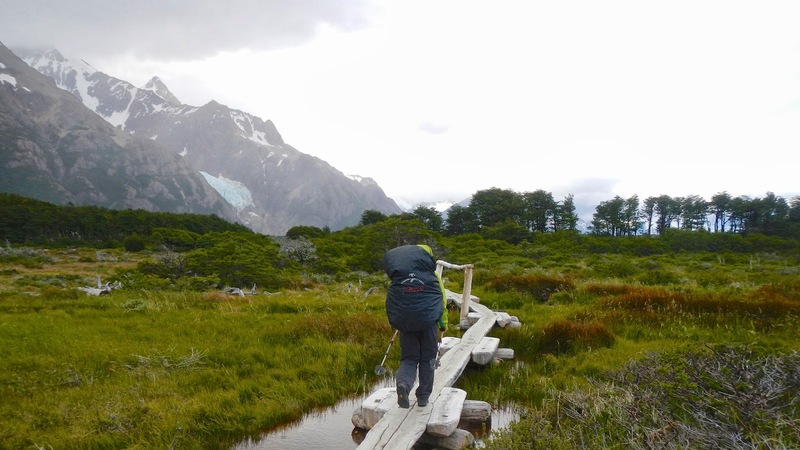 After some time organizing we were off on the trail towards Camp Poincenot and Laguna de les tres. 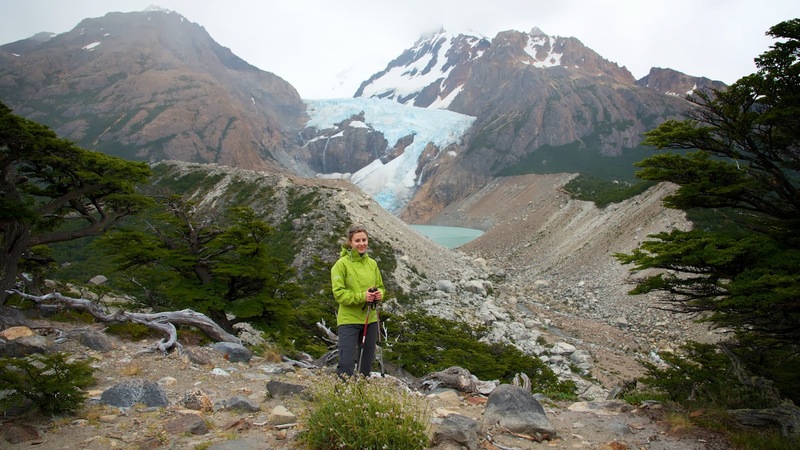 The hike quickly took us out of the Chalten valley and into the mountains. The wind was strong the entire time and rain sprinkles often pelted us from the clouds that were squeezed dry by the tall peaks they passed over. This actually felt good because the sun was hot when it was out and we were headed up hill anyway. 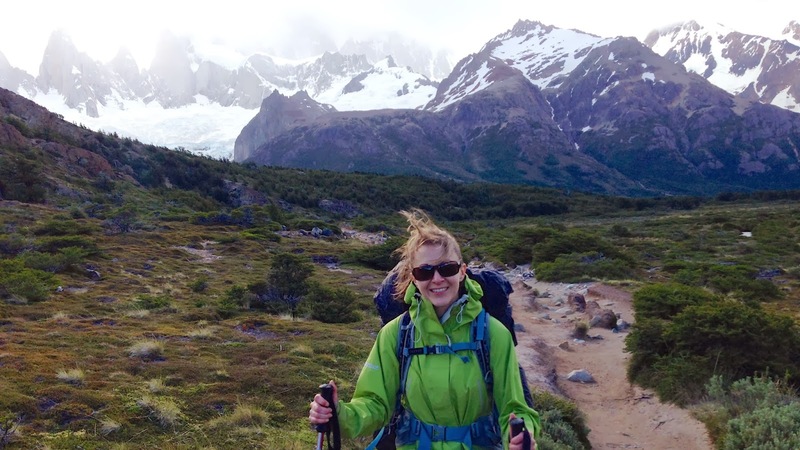 The stories of it being sunny and raining in Patagonia are definitely true. We reached camp under the protection of trees around 6:30pm having stopped many times for photos. We quickly set up our tent and staked out the rain fly. 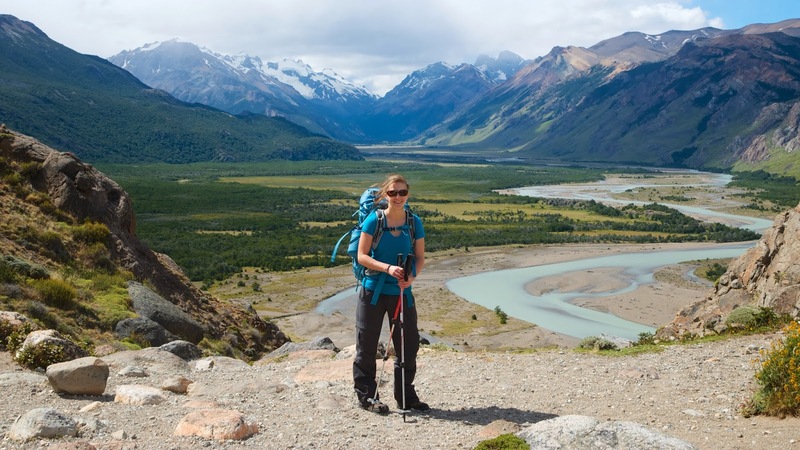 After throwing our stuff in the tent we grabbed the camera and a water bottle to go for a hike to a viewpoint about a mile away across a lake to a glacier pouring down from Fitzroy. 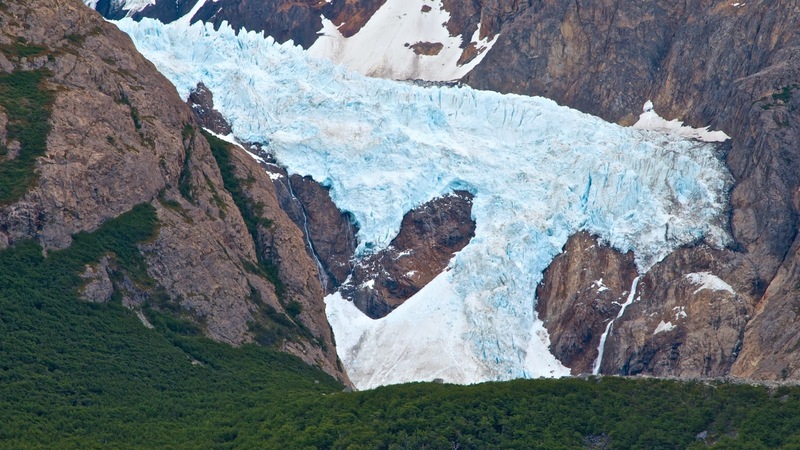 We couldn't see the summit of Fitzroy but we had great views of the glacier and the waterfalls falling from it. The trail appeared to go on but we decided we had seen the best view and turned around back down the trail. This turned out to be a great decision as it began to pour on our way back. By the time we got back to camp we were both pretty wet and ready to cook dinner. We ended the night by cooking up Backpacker Pantry Pesto Salmon with pasta for me and Red Pesto pasta for Emily. Both were pretty good and filling after the day of hiking. Because it was still blowing and raining hard we just stayed in the tent until sunset around 10:30 and continued watching Lord of the Rings until midnight. The only thing we forgot, was our water UV purifier but there are signs everywhere that say the water is safe to drink from the streams. 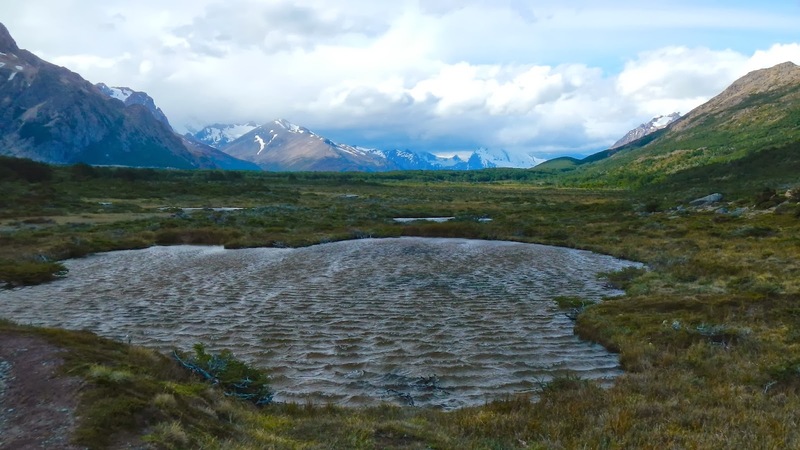 I'm a little hesitant to try it but all the streams appear to be glacially fed and safe. We boiled the water I got from the stream tonight for dinner so tomorrow we will make the call on weather to continue boiling for drinking water or trust the signs... Now... 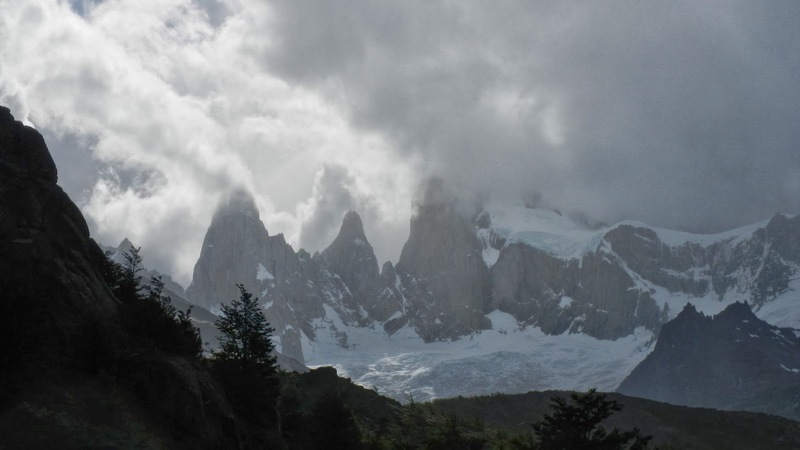 I'm going to bed to the sounds of Patagonia winds and rain. The ranger said it would rain tonight but the weather would improve over the next couple days. I'm hoping he is right as I'd really love a great view of Mt Fitzroy tomorrow when we wake up.